As we are forced to suffer through yet another New England Patriots Super Bowl, it seems as good a time as any to look back at this year and see exactly what went wrong for the 2018 Miami Dolphins. Below are some key numbers that contributed to this year’s 7-9 finish. 114: Points Miami was outscored by this year. When Miami won, it seemingly was always a nail biter, but when they lost… not so much. Eight out of nine losses were by multiple scores, while none of their seven victories were by such a margin. With a couple dropped Xavien Howard interceptions and a Gronkless New England secondary, this season could have looked a whole lot worse. 1: Games that Miami played with their entire starting offensive line. While offensive line play has been a problem for the Dolphins for what seems like a decade, it was finally looking as if this year’s unit would be relatively solid. That hope lasted for all of one game after it was learned that Josh Sitton would be lost for the season after tearing his rotator cuff against the Titans. It only went downhill from there, as Miami lost Dan Kilgore for the year after their Week 4 matchup against New England and worked with a patchwork line for the rest of the year. 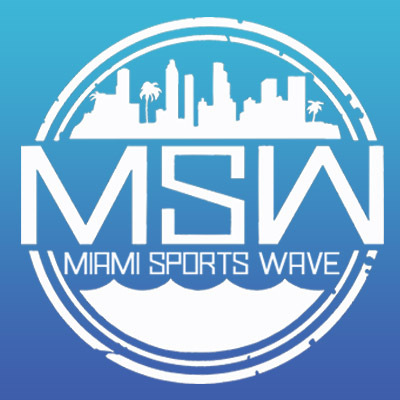 Hopefully, this will be an area of focus for Miami during the offseason. 30.1: Third down percentage. Good for 31st in the league. While the offensive line and play calling were less than optimal in these situations, the majority of the blame has to fall on Ryan Tannehill. It seemed that anytime Miami was faced with a 3rd and 6 or longer, you could pretty much count on Tannehill running directly into a waiting defenders arms for a sack. Pocket presence is the one key area that Tannehill hasn’t seemed to improve during his seven years in the league and Miami paid the price far too many times this season. 2: Games that Miami threw for over 300 passing yards. 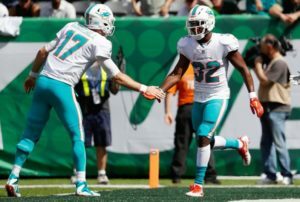 In a league that has seemingly done everything in its power to allow for offenses to put up video game passing numbers, the Dolphins were only able to throw for over 300 yards twice. Once against the Raiders (which needed the help of Albert Wilson’s 52 yard pass to Jakem Grant to push them over the threshold) and again against the Bears in an overtime thriller that saw Brock Osweiller throw for a whopping 380 yards. That’s zero games over 300 yards for Ryan Tannehill. Not exactly encouraging for a player that is on the hook for over $26 Million against the cap if he is to remain on the roster next year. 9: Games with less than 200 passing yards. While 300 yard passing games aren’t a given, 200 yards through the air shouldn’t be very difficult to obtain in today’s NFL. It is almost impressive that Miami failed to reach that mark in more than half of the games they played this year, especially considering the amount of time they played from behind. It’s probably about time to stop referring to Adam Gase as an “offensive guru”. 4: Games that Kenyon Drake received 10+ carries. It is well noted that Kenyon Drake led the NFL in rushing yards during the last five games of the season in 2017, yet that didn’t seem to mean much to Adam Gase. He preferred the ageless Frank Gore’s consistency over Drake’s explosiveness. While Gore didn’t have a bad year carrying the ball, it is a little perplexing why Gase refused to let one of his best playmakers handle even a modest share of the carries. Also worth noting, is that Miami came out with a win in three out of the four games that Drake carried the ball 10 or more times, yet Gase refused to use him as much more than a passing option out of the backfield. 21: Interceptions by the defense. It can’t all be bad right? The one area this team excelled at, particularly Xavien Howard, was getting their hands on footballs and creating turnovers. If only the offense could have capitalized more often when given those extra possessions. 2.24 Million: Price paid per sack from Miami’s top four pass rushers. Going into the season there was a lot of optimism for the Miami pass rush. There should have been considering the combined cap number for Cam Wake ($9.6M), Robert Quinn ($11.4M), Andre Branch ($10M), and Charles Harris ($2.5M) was just over $33.5 Million. While playing from behind the majority of the season didn’t help the units sack numbers, 15 combined sacks was far from optimal. To put that number in perspective, Aaron Donald ($8.9M), JJ Watt ($14.2M), and Chris Jones ($1.7M) all had more sacks individually than Miami’s unit combined, while costing less… combined. 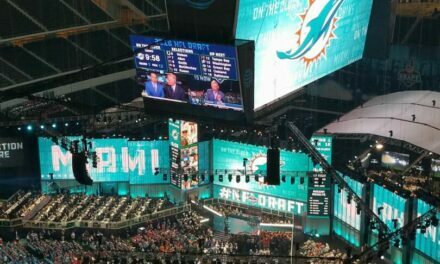 13: Miami’s 2019 draft position. Maybe this is the pick that turns the perennially average Miami Dolphins into a consistent playoff contender. You could count on #13 for that in the past at least. 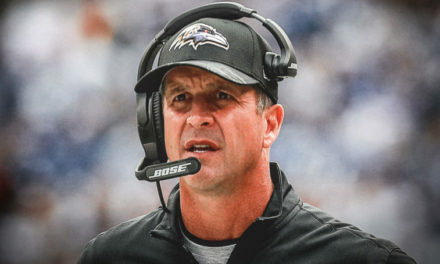 The Ending to a Forgettable Season: Where Do We Go From Here? 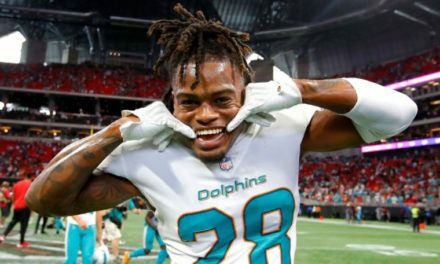 There is so much for the Dolphins to work on as this article shows. I especially agree with you on your 3rd down conversion point. The Dolphins were horrible and a lot comes down to Tannehill not knowing how to navigate the pocket after 7 years. That is unacceptable. Fact: Ryan Tannehil is a below average quarterback. Can’t continue to blame the o line for his obvious flaws.